And another Father’s Day is done and dusted. I’m always a bit leery of this annual day of recognition. The build-up usually annoys me – I hate the gratuitous advertising ahead of the day as I think it detracts somewhat from the importance of the Day itself. I use this day as a day of reflection and consideration. It’s been over six years now since my marriage ended, and I have been focussed that the decisions of my past don’t impact on the relationship I have with my kids. And you know what? I think I’m doing OK.
My kids actually want to spend time with me. It’s not grudginly enforced. They want to create cards for me. They love joking with me. 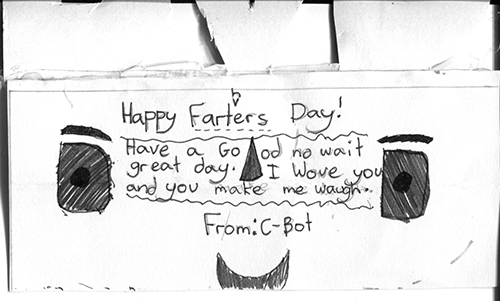 Today’s efforts included cards: “Happy Farters Day”… or referencing Destiny – mu current gaming obsession. 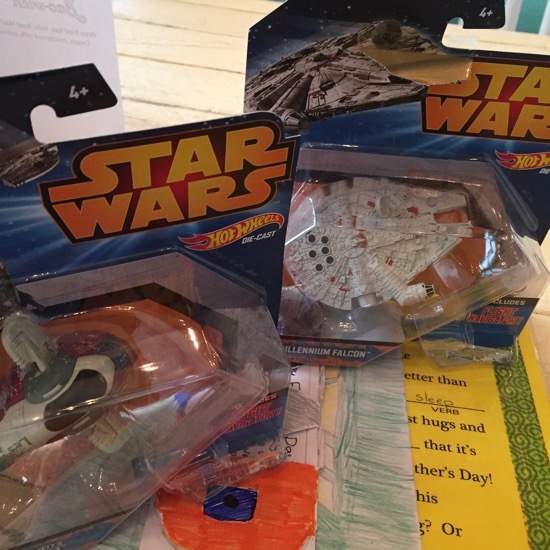 They gave me Star Wars diescast models. Awesome! I picked them up and we went hunting for food. I like avoiding the regular places such as McDonalds or mall foodcourts, and I also like supporting locals. We parked at Ponsonby Central, and ended up at the Street Food Collective in Lot 3 (off Ponsonby Road, behind the Golden Dawn. Miss Moonshines is there as well). Many food options and the kids decided on tacos from The Lucky Taco. Of course, I made them order, pay, and collect. The tacos were great (I do recommend them if it helps). Then I got the kids to order our hot drinks. I have realised that they’re a little under-experienced with regards to commercial transacting! And yes, I’m always up for teching them stuff. 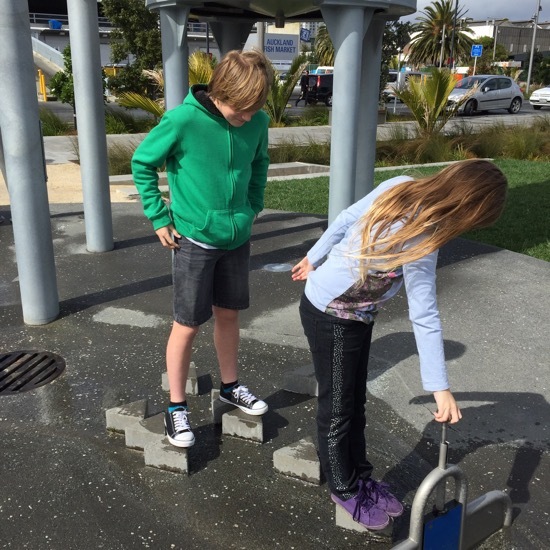 Further fun was had down at Wynyard Quarter – great icecream and lots of things to do. All up a great day. Summed up by something Master 12 wrote in his card to me: “You must be doing something right”. I think I am. 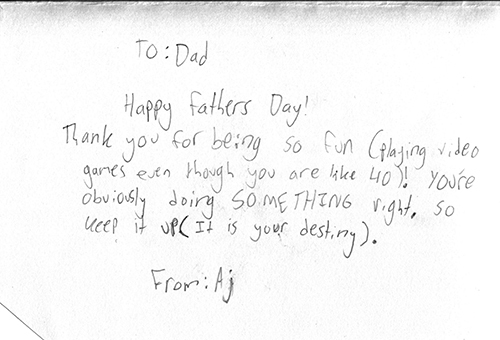 This entry was posted in Family, Food and tagged family, fathers day, food, fun, kids. Bookmark the permalink.